Last weekend I got up very early to head to the Metro Centre, hoping to find some Christmas present inspiration. Unfortunately for my friends and family it resulted in me returning home with a nice big paper bag full of goodies for myself from Primark. Argh! There are so many lovely clothes in Primark at the moment, in all honesty I could have tried on even more but I had to exercise some kind of control so as not to spend my Christmas budget. I shall be returning to the shops again this weekend to give it another go. I'm sure Santa doesn't have this problem! See if you can spot the common theme running through this haul .. I seem to have a new obsession. 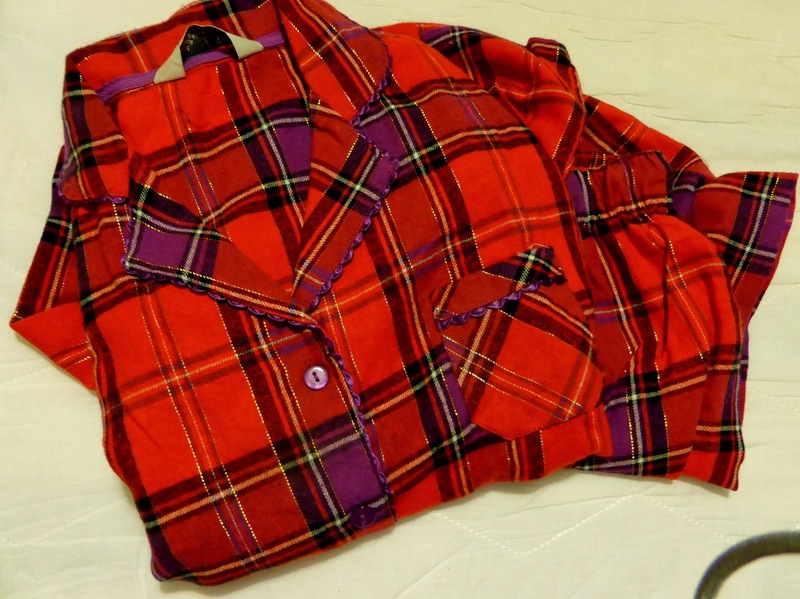 Now that the cold nights have kicked in I quickly realised that I needed some new warmer PJs. I was surviving on the one pair and having to sleep in Summer PJs. I loved these so much I bought my Mum a very similar pair for Christmas ... do I get points for actually managing to do a little bit of my Christmas shopping? A good find in Primark is always great, but when it's in the sale it's even better. These shorts were reduced to £5.00 and I love them. This is going to be a very different look for me, I've never worn shorts out in the evening before but I'm looking forward to trying these out with some nice thick tights and black heels. 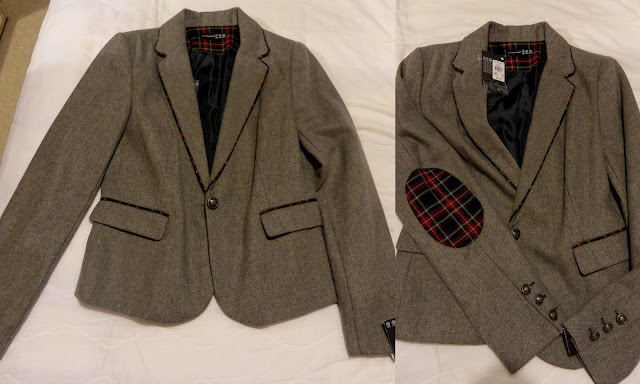 I fell in love very quickly with my next purchase, a gorgeous grey jacket with tartan detail. It was slightly on the pricey side for Primark at £23.00 but there was no way I could leave it behind. I absolutely love it and I'm very excited to wear it out. The next thing to catch my eye was this skirt. 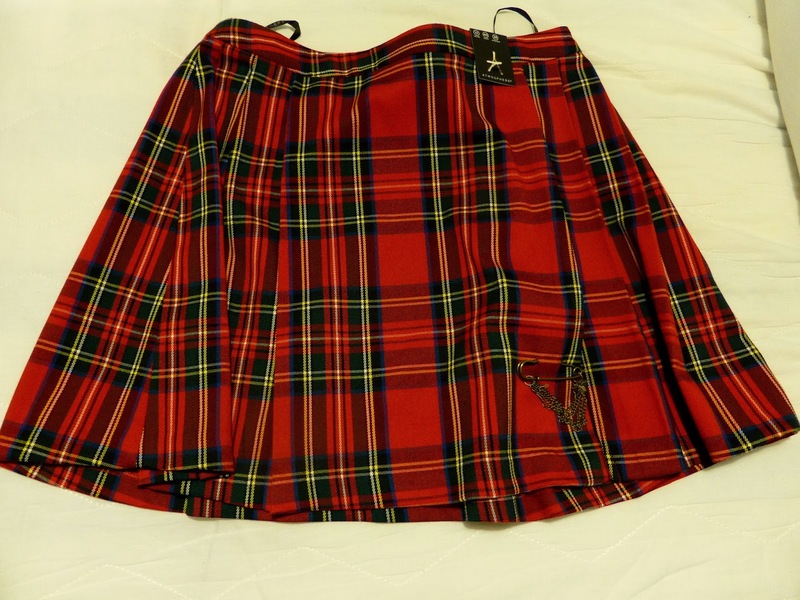 I've been looking for the perfect tartan skirt for a little while and haven't been able to find one. Primark really is triumphing at the moment. This skirt is just perfect, I love it. It was exactly what I was looking for. It's been so cold in the office recently and all the work suitable skirts I have just haven't been keeping me warm at all which means I've been stuck wearing trousers. 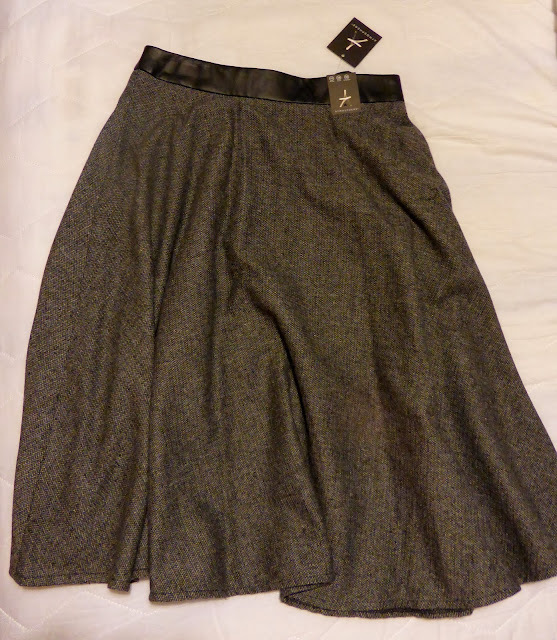 I loved this skirt as soon as I spotted it, I don't often wear long skirts but something made me take this to the changing room and it's such a lovely fit. I love the leather effect waistband and it covers my knees and keeps me nice and snug. I wore it to work for the first time a few days after buying it and was really happy that a few people complimented me on it. 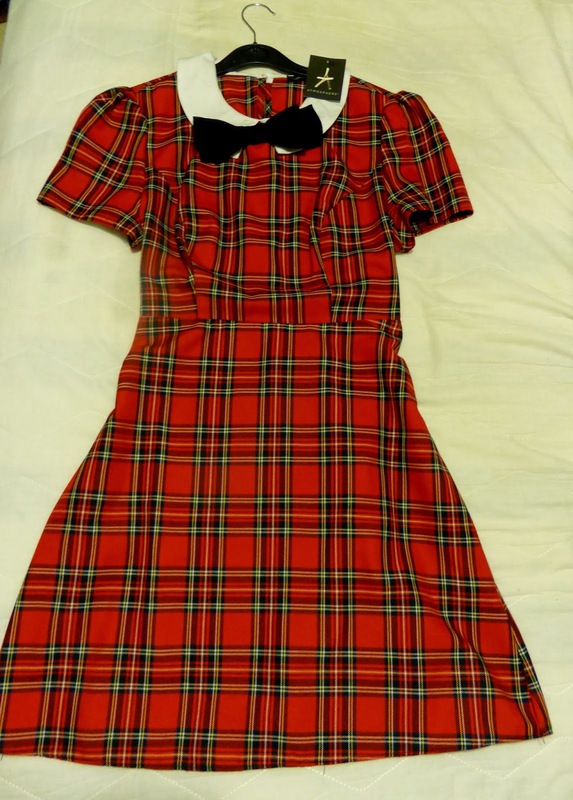 Lastly is a dress that has been EVERYWHERE! Holly Willoughby wore it on Celeb Juice and it popped up on TOWIE earlier this week too. It's easily the nicest tartan dress I've seen in the shops and it's such a bargain at £15.00. It comes in three different patterns but this was my favourite. One thing to mention I tried on my usual size and it was really snug around the arms and bust so I had to go a size up - not sure if anyone else has had this problem with it. Going the next size up means I'm quite tempted to wear it on Christmas Day, tartan has quite a festive feel to it and the little bit of extra room means extra chocolate for me. Clothes sizes can be so bizarre, I walked out of Primark with two size 10s, two size 12s and a size 14! I always think it's important to buy something that fits nicely though, no point in squeezing yourself into a smaller size if it's going to look too tight and feel uncomfortable. This was a big problem I had when I was larger, I was so embarrassed about being a size 20 I was trying to squeeze myself into size 18s and it was so uncomfortable. I've now learnt to embrace my body and all it's blobs and bumps and I shop for things that make me feel amazing, look great and most importantly fit comfortably.